After 10 years of working with Illinois College, following the Spring of 2016, Dean of Academics Elizabeth Tobin and Professor of History Steve Hochstadt will bid IC a farewell as they begin a new chapter in their lives. The students, staff and faculty are quite familiar with the hardworking and respected couple of Illinois College. 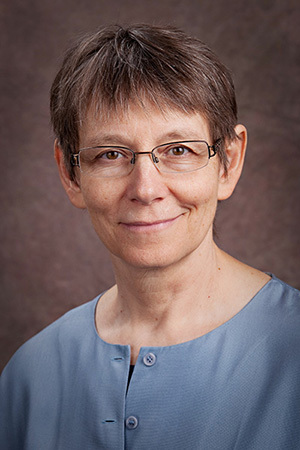 Dean Tobin, well-known as the school’s Provost and Dean of the College, is involved in various leadership and council groups for the school. Tobin recently helped IC with retaining their accreditation and assisted in adjusting the textbook policy, both of which are important aspects for any educational institution. 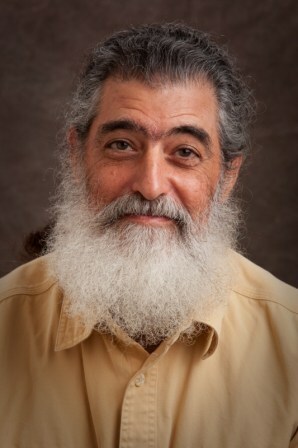 Professor Hochstadt is renowned for the history courses he teaches, his valuable work for the IC Archives, as well as authoring several books. Those who know this power-couple might only know of their accomplishments during their time at IC. However, there may be some aspects about them that people may not know. Professor Hochstadt was born in New York City and grew up in the suburbs of Long Island. Originally a mathematics major while attending Brown University, Hochstadt took a history class and discovered that he had a special interest and passion for it. Hochstadt received his undergraduate degree in mathematics, but pursued a graduate degree in history. Dean Tobin grew up in Des Plaines, Illinois near Chicago. Tobin was a successful student, but she was still deciding on what she wanted to do after high school. She was an adolescent during the times activism was growing amongst citizens. These times also coincided with the invasion of Cambodia by the United States, which widened the war of Vietnam. While Dean Tobin attended Swarthmore College in Pennsylvania, there was a strike at the institution because of this invasion. Professor Hochstadt’s university was shut down as well during the Vietnam War. Influenced by the political events involving Vietnam, she wanted to continue studying history on the basis of understanding how it influenced the politics during this time. While attending graduate school in Princeton, her passion grew for teaching history in order for people to understand the world. Dean Tobin and Professor Hochstadt, without the knowledge of each other’s existence, were both very interested in German history. While Tobin attended graduate school at Princeton and Hochstadt at Brown, their lives were about to become connected in Germany. Both were rewarded with scholarships by the German government and happened to be assigned to live in Dusseldorf and study materials in the archives. Following their research in Germany and finishing graduate school, the couple married. Tobin and Hochstadt planned on being historians after graduate school. Interestingly enough, they happened to be direct competitors in the job market during the time they were starting their lives together. The IC couple eventually applied for a teaching position which allowed them to share the same job while at Bates College. During this time they both raised their children and shared a teaching position together. After their children grew up, both Dean Tobin and Professor Hochstadt accepted positions at Illinois College. Tobin wanted an administrative position and Hochstadt agreed on starting a new path. Hochstadt taught part-time for IC in order to have time for historical interviews, transcribing, and work in the archives. Tobin is quite proud with her work for IC’s BLUEPrint and accreditation for the institution. Currently, Tobin and Hochstadt have many plans following their retirement from Illinois College. Although both will “retire,” they will not cease working and discovering opportunities to learn more about history and the world. Tobin and Hochstadt plan on returning to Germany and visiting their apartment in Berlin for about 3-4 months in the year. They also plan on visiting family in Wisconsin and living the rest of the time in Jacksonville. Although their chapter at Illinois College is coming to a finish, Dean Tobin and Professor Hochstadt will undoubtedly continue their impact on the world together. Leilani-Jade Pecher, from Lakewood, Wash. is a junior double-majoring in Communications and Management and Organizational Leadership. Leilani is the Director of PR & Advertising and writer for The Rambler. She is the Vice-President for the Coalition for Ethnic Awareness, PR for Enactus, and a member of several clubs.